A look at what what the finance bill 2017 deals with. Delay in filing tax return for 2017-18 will attract penalty of Rs 5,000 if filed by Dec 31, 2018, and Rs 10,000 if filed later. Time period for revision of tax return cut from 2 years to one year. A simple one-page tax return form is nto be introduced for individuals with taxable income up to Rs 5 lakh. 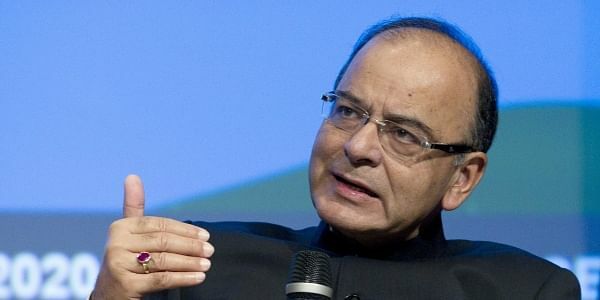 Decrease in tax rates from 10 per cent to 5 per cent for total income between Rs 2.5 lakh and D5 lakh comes into effect. Tax rebate reduced to Rs 2,500 from Rs 5,000 per year for taxpayers with income up to Rs 3.5 lakh. Surcharge at 10 per cent of tax levied on rich taxpayers, with income between Rs 50 lakh and Rs 1 crore, announced in the Union Budget 2017-18, has been passed in the Finance Bill. While the Government has been going after NGOs for the ‘dubious’ funding they have been receiving from foreign aid agencies, the Bill just approved unlimited and anonymous corporate and foreign funding for political parties. Earlier, there was a cap on how much donation a company can give to a political party. That cap has been removed. Further, companies’ contributions will remain anonymous. Companies could earlier only donate a maximum of 7.5% of their net profit over the last three years to parties. The corporate houses also had to disclose names of the political parties to which donations were made. Donations from foreign sources, if any, will also be anonymous. The Bill has also amended the Representation of People’s Act — which governs elections in India — to ensure that electoral bonds are anonymous. Those buying these bonds to donate to political parties do not have to record who they are. As the Government’s war on black money rages on, the Income Tax departmenthas become almost invincible, with powers to enter any premises and ‘break’ any door they want. come up for review, and his rationale will not be questioned. While this move has been hailed for arming the department with teeth to carry out raids, critics have slammed it for making the unit ‘unaccountable’.